Nickel based alloys have been widely used across several industries due to its several favorable characteristics. They are used for applications such as gas turbines, pumps, valves and other components that are exposed to extreme conditions and exceed the capabilities of other alloys such as stainless steel. These capabilities were not always as prevalent in the early 1900’s. Traditionally, the alloy comprised of only of nickel and chromium but this combination was not suitable for the extreme conditions that nickel-based components are exposed to today. It wasn’t until the development of nickel-based ‘superalloys’ that the material was brought into the mainstream by the aerospace and energy industries that require a significant amount of both corrosion and stress corrosion resistance. It has taken almost a century to arrive at the alloy composition that you can find in components used in these extreme environments today. Nuclear Energy – Nickel based alloys are widely used in the nuclear energy industry because of its stress corrosion resistance. It is used for heat and cooling systems, reactor internals, as well as, containment vessels which require a highly secure structure needed for radioactive waste. Oil and Gas – A principal nickel-based alloy consuming industry is oil and gas. Because of the highly corrosive environment of deep well drilling, nickel-based alloys have been employed to withstand the most rigorous and volatile conditions. Its weld compatibility with stainless steel also extends the cost-effective use of the composite, as stainless steel is another vital alloy in the industry. Why Choose Investment Casting Process for Nickel-Based Alloy Castings? Some considerations must be made when choosing a manufacturing process for your nickel-based components. Nickel-based alloys are tough which makes machining parts from stock difficult and uneconomical. The lost-wax investment casting process is a perfect fit for this desirable yet difficult alloy. 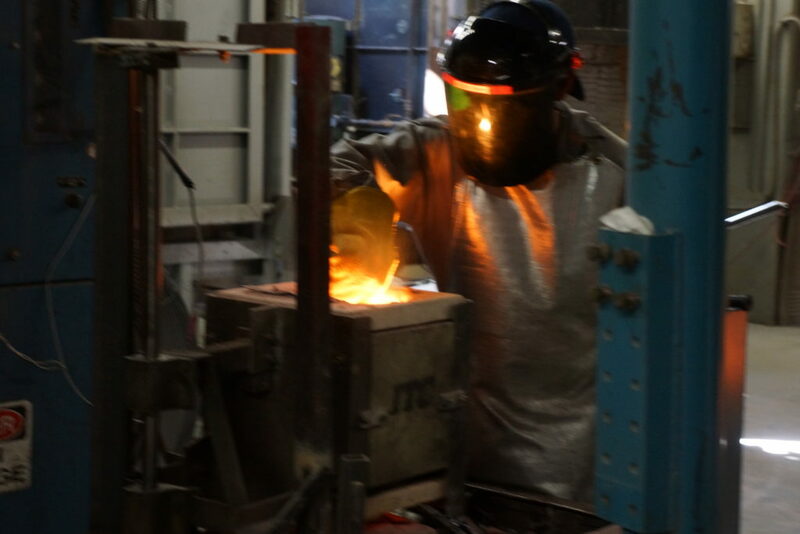 Taking advantage of the investment casting process can often reduce or even eliminate machining costs due to its ability to provide net-shape castings. Inconel is a prime example of a nickel-based superalloy. Its hardness is comparable to steel, but its ability to resist high temperatures and oxidation in the form of corrosion and stress corrosion exceeds stainless steel alloys, making it one of the most desirable alloy choices for industries such as aerospace and even nuclear power.